This was inspired by Carol Field’s recipe from The Italian Baker, one of the best baking books of all time. She’s a genius. Her dough called for up to eight hours of rising. I tried that here – not good. Because there’s no gluten in these doughs, the structure that the proteins in the flours and the psyllium provide is pretty fragile. Eventually, the gas bubbles formed by the yeast poke apart the structure. I never let a gluten-free dough rise more than two hours. Generally, it’s about an hour. The only exception to this rule is when you let the dough rise overnight in the refrigerator because the cold makes the rise much slower. That practice builds extraordinary flavor. And after all that work? Pizza dough for the grill. MAKING THE DOUGH. 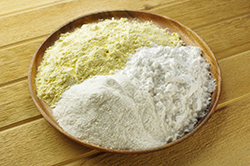 Mix the flour, psyllium husks, yeast, sugar, and salt in the bowl of a stand mixer. With the stand mixer running, add the egg and oil. Slowly, drizzle in half the water and continue mixing the dough. 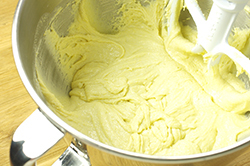 Pour in more water and mix until you have a sticky ball of dough that slumps off the paddle when you stop the mixer. Do not add more flour. Gluten-free doughs are wetter than gluten doughs. LETTING THE DOUGH RISE. Put the dough into a lightly greased bowl. 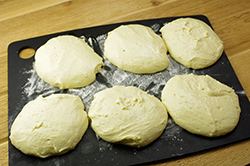 Let the dough rise until the texture has firmed into something close to a traditional pizza dough, 1 to 2 hours. SHAPING THE DOUGH. Oil your hands again. 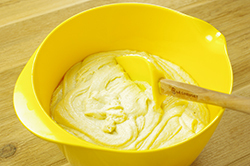 Gently turn the dough out onto a floured surface. Cut it into 6 equal pieces and form them into balls. Cover them with a damp cloth and let the dough rest for another 30 minutes. Roll out each of the balls of dough into an oval about 6 inches long. (It might help to roll them out between 2 pieces of lightly greased parchment paper, to avoid sticking.) Place the oval of dough, oil side down, onto the grill. Repeat with the remaining dough. (If you have a small grill, you may have to do this in batches.) Put the lid on the grill and cook until the bottom of the pizzas are set and have grill marks, 4 to 6 minutes. Pull the pizza crusts off the grill. THIS IS WHERE YOU TOP YOUR PIZZAS. Of course, you may use anything. However, I like to keep it simple. 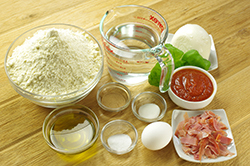 Brush the grilled side with extra-virgin olive oil and tomato sauce and put the pizzas back on the grill for 3 minutes. Add some fresh mozzarella you have torn with your hands. Close the cover of the grill and let the pizzas cook until the mozzarella has melted. Take the pizzas off the grill and toss on some fresh basil leaves and a sprinkle of kosher salt. FEEL LIKE PLAYING? If you want, you can make this the night before you want to cook it, with cool water, and put it in the refrigerator. Let the dough come to room temperature before you grill it. You can take out a hunk of dough to make a little pizza every night for a week. This pizza also bakes up great in the oven. Set your oven on as high as it can go and preheat for 30 minutes. If you have a pizza stone, please put it in before you turn on the oven. 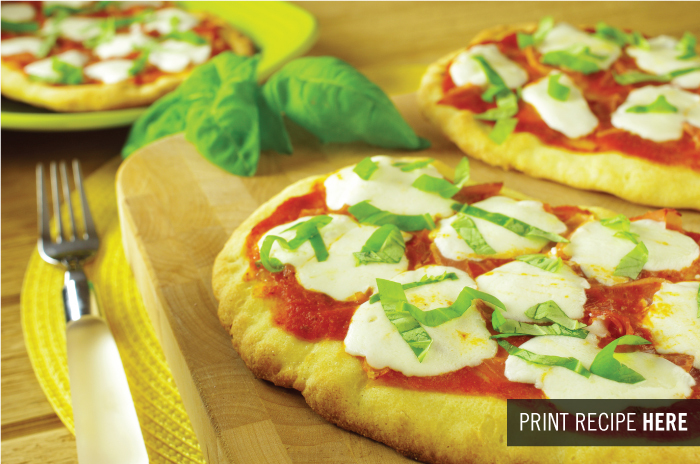 You can use a pizza tray, a large piece of parchment paper, or put the pizza dough directly onto the pizza stone. Use half the dough this recipe yields for a 12-inch pizza. 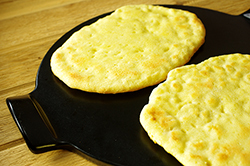 Also, you can use this dough to make gluten-free naan and gluten-free pita bread. MORE FEEL LIKE PLAYING? Of course, you can top these with anything you like. But I like lettuce, a tomato (when they’re in season), some sharp white Cheddar, pickles, and a swipe of [our] Smoked Paprika-Chipotle Sauce. Play with the seasonings here. You could work with spices that you feel go well with turkey or pork. I think of this as the transitional mix. We’re all so used to white flour in our food that we kind of crave out gluten-free baked goods to be white as well. I understand. Try as I might, I could just never get behind a whole-grain pie crust. So I use this AP flour mix for pies, cakes, biscuits, and some cookies. It’s easy to make. All you have to do is mix up the following, based on the ratio of 40 percent whole-grain flour to 60 percent starches and white flours. Dump them all in a large container (we like the large plastic containers restaurants use to store their food, which we buy at restaurant supply stores) and shake. Shake and shake and shake harder until all the flours have become one color. There. That’s your flour. Whenever you want to bake, just reach for that container and measure out how many grams you need for that recipe. Here’s one of the main reasons I write my recipes in weight. What do you do with this mix if you can’t do rice flour because of your rice allergy? 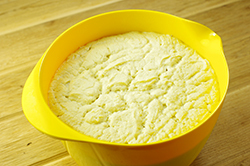 Just substitute tapioca flour or arrowroot instead. You can’t find millet? Try sorghum for your whole-grain flour, or buckwheat. We don’t think of this as OUR mix but yours. Make the mix that works for your, based on what flours you can eat, what you can find in your local store, or just what you have in the kitchen at the moment. Think 40 percent whole-grain flour and 60 percent starches and white flours and you’ll have flour in your kitchen for all your baking needs. Excerpted from GLUTEN-FREE GIRL EVERY DAY, © 2013 by Shauna Ahern. Reproduced by permission of Houghton Mifflin Harcourt. All rights reserved.